My 1996 N Discovery TDi Auto has been great today, drove it for a good 60 miles without a hitch, got home, parked it up for half an hour and then went off again. I have been averaging about 55mph today and gentle with the accelerator. I then drove 4 miles and started my way up quite a long hill, and the car was starting to lose speed. I assumed wrongly that I just needed to put my foot down more and did, it kicked down and then loads of smoke out of the bonnet and under the car, and would barely pick up speed. So I pulled over. Popped the bonnet and found oil had sprayed out of the rocker cover and contaminated the auxiliary belt. This was the smoke. I calmed myself down and then rang the guy who looked it over for me, who is now frantic about the car and is coming out on Monday, and a limped it home. The gear changes were dodgy but smooth and only going down hill did it want to go into 3rd gear, once on level ground I was really gentle and got the car up to 20mph and had the gears changing nicely then did a slow sharp right turn and the gears jumped as if it went into neutral briefly, then I could barely get it to pick up speed. I limped it home and have now parked it up. I don't know what to do! Please help? Too many bits, not enough talent! Are you sure it was engine oil out of the rocker cover and not gearbox oil out of either the pipes to the cooler, the dipstick tube or the gearbox breather pipe? Auto transmission fluid is typically red and had quite a unique smell. Now you have got me thinking. I think the oil had a different texture to the engine oil. It might be gearbox oil. Only problem for me was it was dark and even with a torch I couldn't really see properly. If it is gearbox oil what could that mean apart from the obvious, that the gearbox has lost oil? I will have a real good look tomorrow. I didn't realise there was a breather pipe for the gearbox in the engine bay. In the morning when its light, have a look in the engine bay. Check your engine oil level, and note the smell and colour. Then have a look at the auto box oil level. Again look at the colour and note it smells different. Your auto box oil could be red if fairly fresh to a dark brown if it hasn't been changed in ages. Next have a look to see if you can see where the oil the sprayed out is dripping from the engine and see what colour it is, how thick it is and what it smells like. Oh and of course the auto box uses the same stuff as the power steering reservoir so its a lot thinner than engine oil. Then post back on here. Okay, I will do, It may be close to lunch time though. I ran my finger in the stuff and was slimy, but couldn't quite tell what colour due to the light. 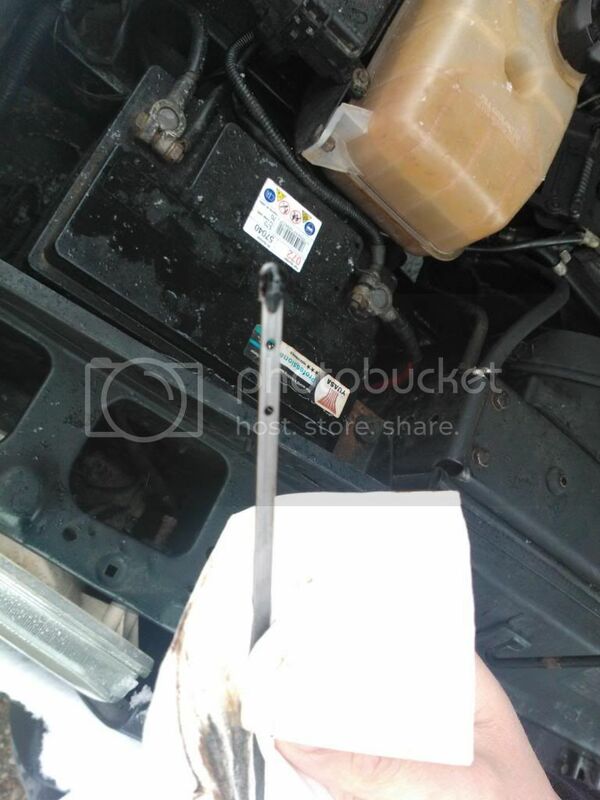 However I did check the dipstick of the engine oil and the level had dropped very slightly but this could have been down to the leaks it already has. 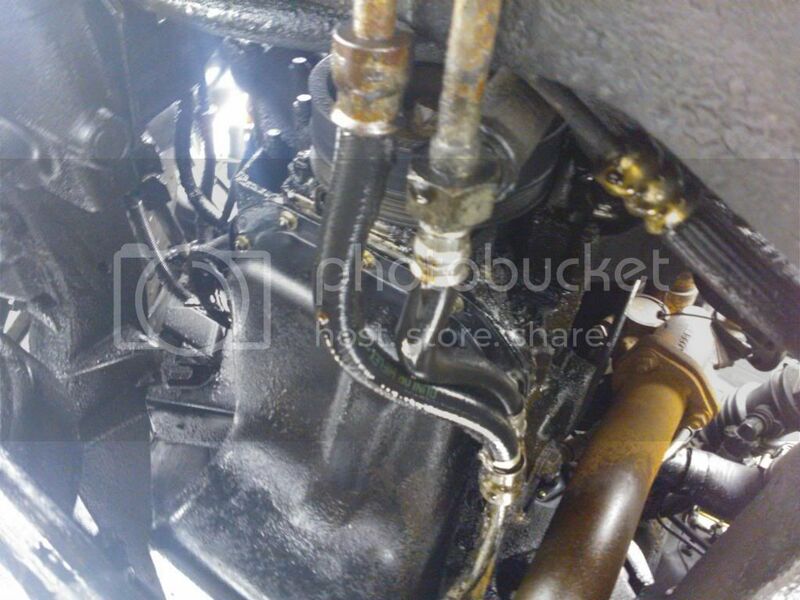 Where is the gearbox breather pipe in the engine bay? Thanks Gary, that information does help.and thank you duncmc, I will have a look for them tomorrow. I may not be able to get my mouth near them though as my Discovery has been raised 2 inches and I am not in good shape. .....I may not be able to get my mouth near them though as my Discovery has been raised 2 inches and I am not in good shape. The rubber tube added as an extension to the breather should mean you don't have to perform any contortions to blow down the breathers and mean you won't have all the neighbours gossiping about you getting a bit too friendly with your car. I had a similar problem when I first aquired my disco, the ZF gearbox oil filter was totally clagged and as I was unaware of this lack of basic maintenance as I was driving along one day a substancial quantity of the gearbox oil exited the box under pressure via the dipstick tube since then I've done several things, one is to install a new box, secondly I replace said filter every 30,000 kilometers and lastly I've put a second "O" ring on the autobox dip stick end to prevent it from popping out. Have a good look at the two pipes to the cooler. They pass just above the sump on the passenger side to the cooler at the front. They are a combination of hose and hard pipe, either section can burst. As they are close to the exhaust, that may explain the smoke as the oil could get sprayed on the hot pipe. The car only smoked the one time, on the journey home when I limped it there was no smoke at all. I am convinced that it was gearbox oil only that has sprayed out. Was your old gear box totally ruined? I had planned on changing all the fluids one by one, next month was going to be gearbox oil, then March was going to be axle oil. I am hoping that this gearbox is ok. I have found a service kit without the oil for £8.99. But tomorrow, I will hopefully get working on the car as I have lots to do anyway, including Glow Plugs, Rocker Cover Gasket, Air Filter, Oil Filter and Engine Oil to change. I will be doing the fuel filter but need it to be drivable so I can get some diesel to prefill the Fuel Filter. You don't have to prefill the fuel filter, just start the engine and don't touch the accelerator. If it stalls just start it again. The injector pump is self bleeding and there is enough fuel in the injector pump to run the engine long enough for the lift pump to fill the filter. Cheers. May add that to the list for tomorrow. But I have a whole week now to sort the Discovery out. I have been sitting here festering and thinking hard back to when I first had to pull over, and remember when I looked in the engine bay that whatever oil it was, was sprayed up the front of the engine, it contaminated the fan belt, it was partially on the fan, and on the pulleys. I really hate night time, everything always happens to me as the day is over and it is going in to night time. 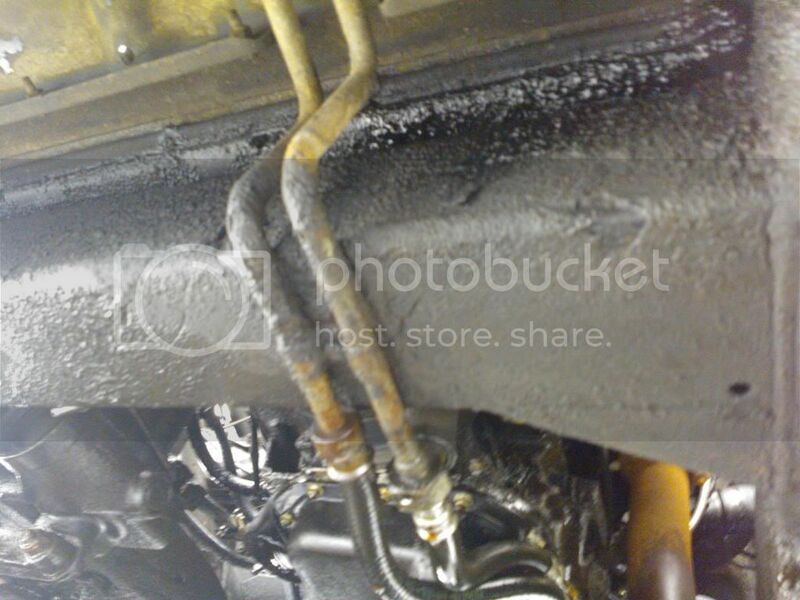 I am thinking that maybe the oil cooler pipes or one of the 2 maybe the cause of the fluid loss. Terrain did say that there were several different leaking fluids underneath that had all basically combined into a few area's to drip onto the floor. I have managed to locate 3 gearboxes with transfer boxes on them all within 50ish miles of me. If it comes to it, I will take the battery out of the Discovery and shove it in the Corsa and shake my way to wherever a gearbox is. But I am wondering if the gearbox is ok and weather I can just replace the pipes or sort whatever it is leaking, change the oil and use it. As the gears never crunched, and despite being a bit erratic were smooth still during gear changes, but still had to rev the daylights out of the poor car to get it up to 20mph to get it home. I think you are right. Oil has sprayed up from that area. But Sunday I am having a nice long lay in followed by a feel sorry for myself fry up for lunch, then onto diagnosing or should say attempting to diagnose the route cause. I would like to get this fixed by my brithday on Wednesday as I am supposed to be going out for the day. But looks like this will be cancelled. Looks like the oil cooler pipes split. Gearbox level as shown in last picture above. Please look at the pictures and let me know what you think. Is this where the gearbox oil has come from? Does anyone know the part numbers for the pipes I need please? You have not said how far you drove from the time it initially split the hose so it's difficult to say if you have damaged the main gearbox. You do give the impression of having to persevere to get home so it may have been deteriorating due to lack of oil. I don't know the part numbers. However, as the radiator is also leaking and you have dodgy coolant hoses and other problems, I'd seriously suggest parking it up and getting your mechanic to sort it all out before you end up with more damage. Personally, if I have a coolant leak or major oil loss, I get the thing to a position of safety and switched off ASAP. I'd rather wait a while and get a lift home with the AA/RAC/Pal than risk doing major damage..
Hi Donald, Yes I have parked it up as soon as I got it home. I don't know how long the pipe has been split for, however no more than 6 miles going very slowly and gently on the accelerator to get it home doing no more than 20mph. Since then I moved it a few meters to get the engine over dry ground to have a look underneath. But apart from that the car is not being used now. I have emailed Terrain about the gearbox filter service kit part number DA4500 and the 2 pipes UBP101000 and UBP101010 and hope that they are in stock to collect Monday morning, and the mechanic is due out mid day to assess the extent of parts needed etc... But no repairs are being carried out by him until Wednesday as my new radiator is due to be delivered on Tuesday. So if all goes well, Wednesday the car will be having a new fan belt as that got badly contaminated, new radiator, new cooling pipes, new anti freeze, gearbox oil, gearbox oil filter and gasket as well as bottom radiator hose and top radiator hose. Hope this information helps clarify my situation. Thanks again for the advice. Also exactly what oil do I need for the gearbox? You really aren't the luckiest of people are you? You need ATF Dexron IID afaik. Not well up on the Auto's but what you've wiped off the dipstick looks really dirty - it sould be bright red! Cosider changing it again after a few days - the detergents may lossen a lot of carp, effectively blocking up the valves again. Not at the moment Steve But surely there can't be much more left to go wrong can there? I really can't afford to change a few days after it has been done for the first time. I will have to see if I can find a really good deal on the oil from somewhere. Why can't people be honest when they are selling a car? This is making me really depressed. But I am not put off the Discovery so far. I am not getting confused. Someone else has now said I need Dexron 3 oil. What do I need? I have been told now by several more people Dexron 2 D is actually the correct stuff. I take it there was no oil showing on the dipstick? What was your engine oil level like? Is the split on the rubber section of the pipe to the cooler? I read on another thread somewhere recently to look up hydraulic plant companies because they can make pipes up on the spot. The one mentioned was Pirtec. Take the split one off, and take it to the nearest service centre. They are all across the UK by the looks of things.